Welcome to the most thrilling playground for surfers – the Indian Ocean. Its waters offer some of the cleanest, longest and most fun waves that you can imagine. Sri Lanka as well as archipelagos of Maldives and Mentawais are among the most desired surf destinations for intermediate, advanced and pros. With LUEX you can easily customize YOUR trip with help of our surf travel experts. Just drop us an e-mail. Indian Ocean surf trips are all about natural coastal and beach scenery so stunning that you are going to frequently find yourself just gaping at the wonder of it all. 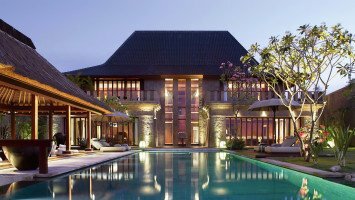 Our options base you in the idyllic Seychelles, little teardrop shaped laid-back Sri Lanka or the tropical paradise known as the Maldives – this last offering by far the vast majority of choices. 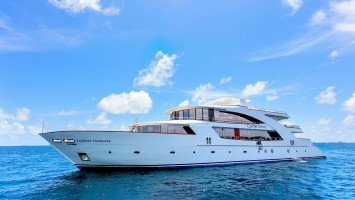 The jaw-dropping beauty of these destinations is matched by the high class standard of accommodation frequently found, with options so luxurious you are going to feel like visiting royalty. However there is more yet to these heavenly surroundings. The Maldives might not take up a large patch of the planet but nevertheless its thousands of islands and many atolls are crammed with world class and high quality waves of the crystal barrel variety. Many of these are far flung and remote or otherwise only accessible by boat but that's no problem. 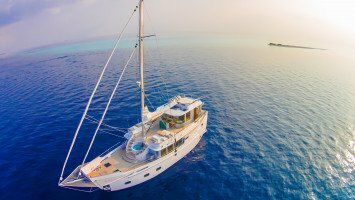 With an Indian Ocean surf holiday you can choose to spend the entirety of your trip on-board a surf charter boat where your experienced guides and crew will ensure you and the day's best waves are in the same place. Alternatively you can opt for a land based surf resort or surf camp where spot transfers by boat are offered daily. 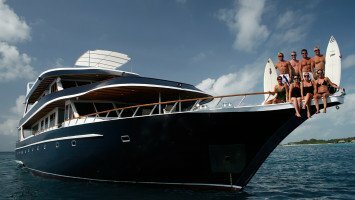 The ocean will be your playground here – whether you are wave riding, snorkeling over multi-colored coral reef gardens, scuba-diving to explore even further downwards, fishing, heading out on a boat to look for whales and dolphins or just lazing around in a hammock and gazing over the turquoise waters. All of the Indian Ocean surf trip options offer boardshort warm water 365 days a year. 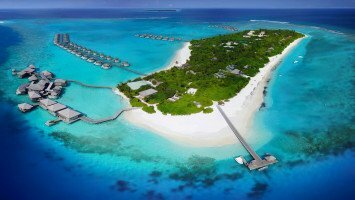 The Maldives has a seemingly endless supply of world class and high quality coral reef breaks which typically offer hollow and powerful conditions. This doesn't mean that there aren't mellower options to be found however if you are an intermediate surfer looking for something a little less formidable. 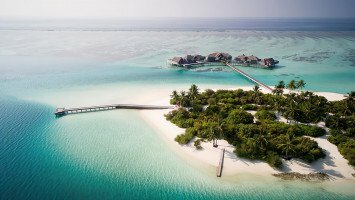 The Maldives is an all-year round surf destination with December to March sunny and dry and May to October humid and windy but also the time when the biggest swells arrive. Each of the atolls offer different optimum surf conditions depending on the season's prevailing winds and spot choices. North Male Atoll, as the Maldives surf capital, sees the most crowded line-ups but also the highest density of quality waves. South Male is much the same but with fewer famous breaks and slightly lower crowd factors. The Central Atolls, namely Thaa, Laamu and Meemu, offer plenty of world class surf, predominantly right-handers, and far less surfers in the water while the Southern or Outer Atolls are true explorer territory, full of empty wave opportunities and hidden gems. 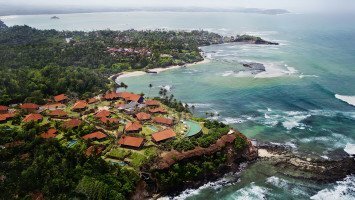 Sri Lanka's south-west coast, offering beachbreaks, reefs and points, receives the same consistent, long distance swell which fires up Indonesia with May to October seeing the arrival of the largest swell and glassy conditions common from December to March. The Seychelles may be lacking in high quality surf but it does offer plenty of mellow breaks in the waist to head high category from April to October. 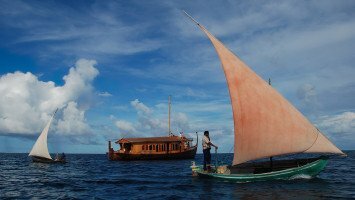 Accommodation options for Indian Ocean surf holidays come in two distinct categories – land- based or live-aboard surf boat. 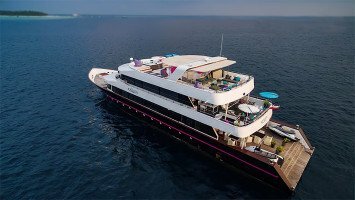 However, from there just about anything is possible from affordable beach-front surf house rooms to secluded and completely private villas and from cozy and comfortable shared cabins to large suites onboard an ultimate luxury boat. The idyllic, tropical surroundings of these destinations make them an ideal couples and honeymoon choice but there is something to attract surfers of all skill levels and all pocket sizes here. Solo travelers are drawn to the social atmospheres of surf camps and friendly surf charters while groups both small and large lap up the dreamy idea of chartering a boat which sets off with just them and their mates on-board. Families come to take advantage of the extensive child care facilities and mind-bogglingly full entertainment and activity programs offered by resorts while anyone who enjoys top notch, sophisticated accommodation and services will love the luxury and ultimate luxury choices which make up the bulk here. The Sri Lankan options are perfect for total beginners with professional coaching laid on and a range of mellow waves on offer while experienced surfers are going to think they have arrived at the gates of heaven with the Maldives choices. Packages offered by Indian Ocean surf trip operators come in every variety from self-catering accommodation only bases with the possibility of upgrades to include classes and guiding for example, right through to total pampering and stress-free all-inclusive options. The Indian Ocean is a special destination for special times – whether you are gathering your favorite surf buddies together for a once-in-a-lifetime trip or want something top notch for your honeymoon venue. Let the LUEX experts help you find THE most perfect surf trip imaginable – just give us a call and leave the rest to us.